I grew up spending lazy summers along the shores of northern lakes in the Inland Pacific Northwest. Maybe this is where my love of “biodiversity” was born. If anything, it was where I first learned to recognize the magic of the natural world. At the lake, my cousin and I built a tree fort with a plush carpet made of fresh moss and we decorated the ceiling with pine leaves. We imagined living a simple life balanced between gathering and storing wild berries, and relaxing to the sound of the whispering pines. During those times, we were part of the forest, just like our fort. For much of my adult life I have returned to spend summers at the lake. For years I set out on these trips with a stubborn naiveté, that the ecological problems in Nicaragua were separate from the problems in the Inland Northwest. Two summers ago, however, I was huckleberry picking with my two young sons in the woodlands surrounding Priest Lake, Idaho. We heard the chuckle of two young boys and the sound of BB gun fire. I figured, all is well, just some kids goofing around. Well, the laughter continued and it soon developed into what we might call “bullying”. I could not resist walking through the woods to see the source. Standing there were two young boys, BB guns in hand, poking a dying bird. It was a Western Tanager (pictured below). 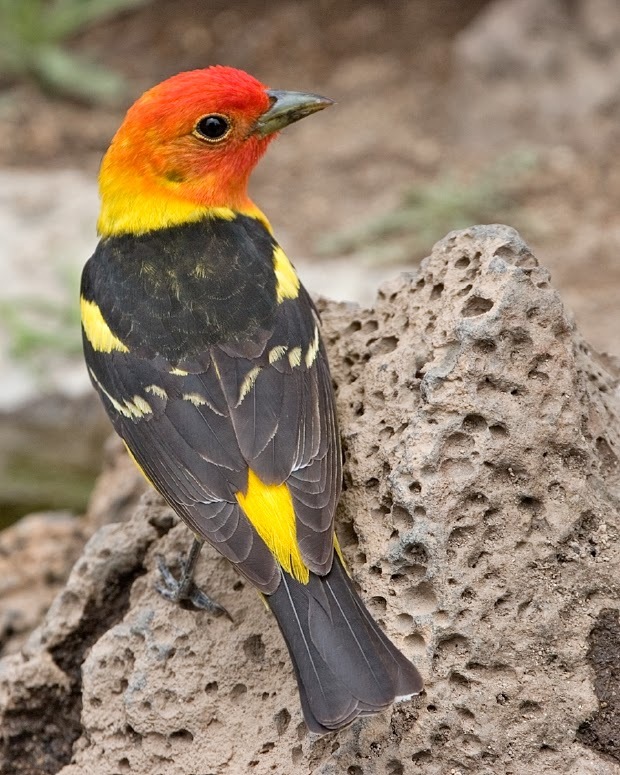 The Western Tanager is a colorful migrant that spends its summers in the Pacific Northwest and winters in Mexico and Central America, including Nicaragua. The bird that was killed by these boys may well have been a bird Nicaraguan “Junior Rangers” had worked to keep safe. I was devastated. While I preach to Nicaraguan children to spare the life of birds, children in my country are busy doing the same thing, but with higher caliber weaponry. My magical corner in the Northwest was not as singular as I had imagined it and I struggled to explain such hypocrisy to my children. The lesson to me from this experience is that, as conservationists, the solutions we are all looking for must be global. Paso Pacifico can be effective at disarming Nicaraguan children of their sling-shots and we know that our small effort is worthwhile, because each bird is valued. But, as long as we work in isolation from the entire geography of the bird’s life cycle, we will fall short. By surrendering their slingshots and pledging to protect wildlife, these two young Nicaraguan boys earned binoculars and have become students in Paso Pacifico’s environmental education programs. Fortunately, in the bird world, partnerships abound and through them we are finding ways to safeguard birds throughout their migratory path. Poco a poco, bird by bird, Paso Pacifico and other bird conservationists will arm the world with binoculars and help protect birds and ecosystems they make whole.